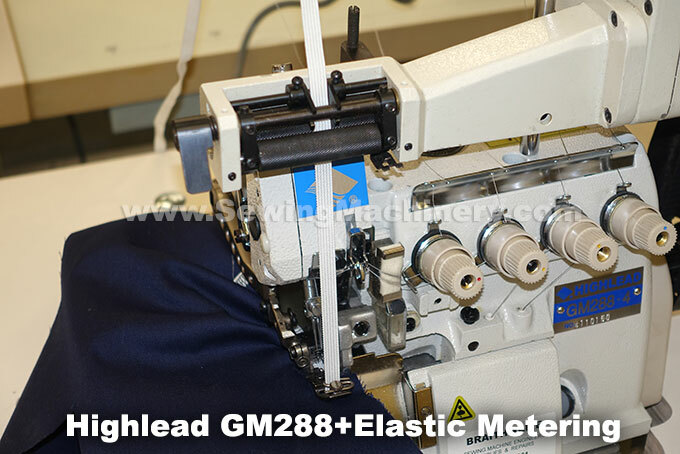 Highlead GM288-ME1 is a specially adapted elasticating industrial overlock sewing machine which features a metered elastic feeding device. The elastic feeding device is mounted above, and in-line with, the stitching area & foot. The amount of elastic feeding through the devices rollers, relative to the fabric feeding through the machine, can be finely & accurately adjusted to give the desired tensioned finish. Elastic feed tension is controlled for consistent results from garment to garment. The overlock has a fully enclosed oil system with running speeds at up-to 6500 stitches per minute. 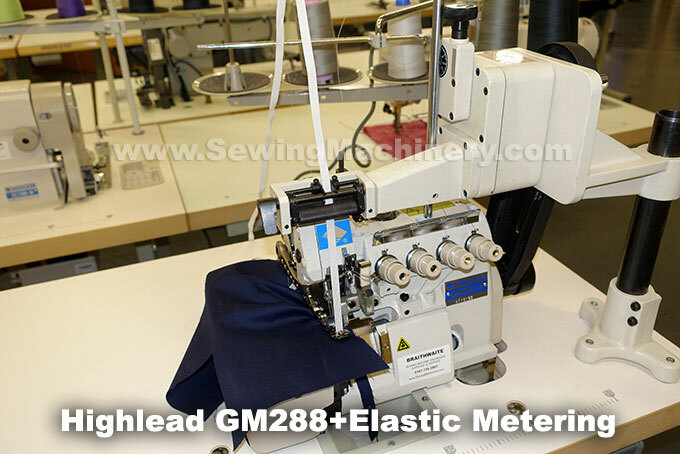 Smooth & quiet operation using a robust balanced overlocker with easy to use operator adjustments such as stitch size, differential feeder movement and independent metered elastic control. Different models available for 3 thread, 4 thread or 5 thread stitch configuration with sub-class variants for Light, Light-Medium & Medium-Heavy fabrics.